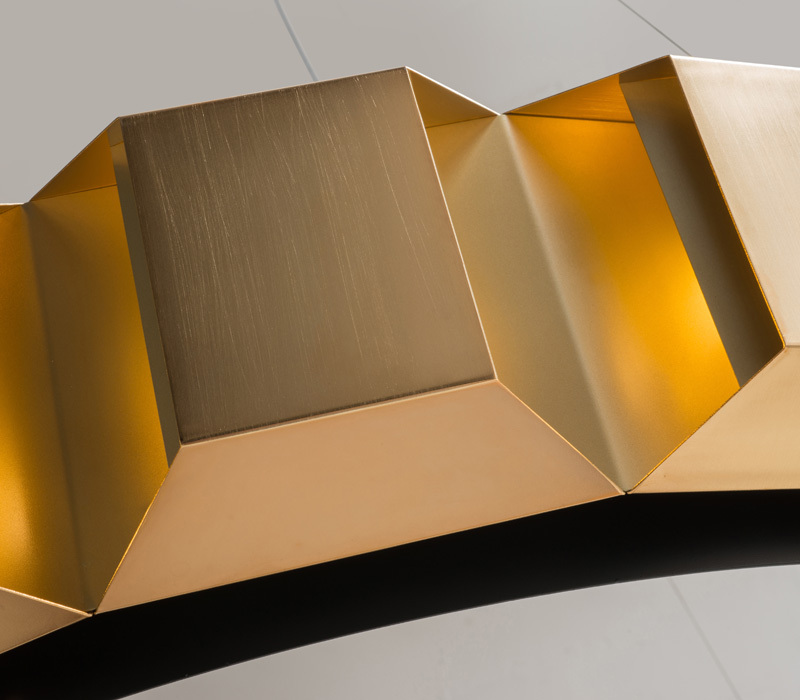 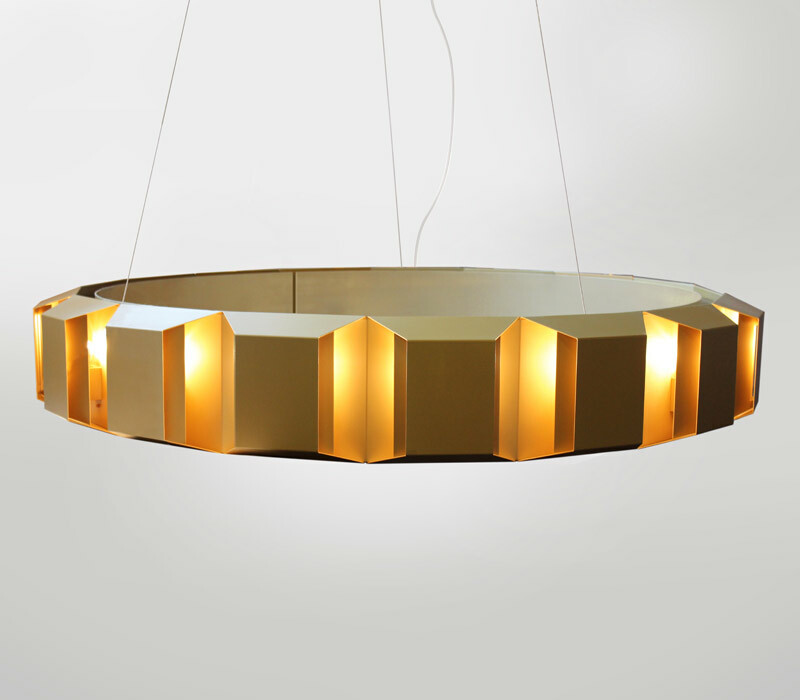 The creative fusion between the bold architectural and softer decorative elements of the design is achieved through the arrangement of a circle of interlocking flat planes, set against the complex geometric facets of hand folded metal. 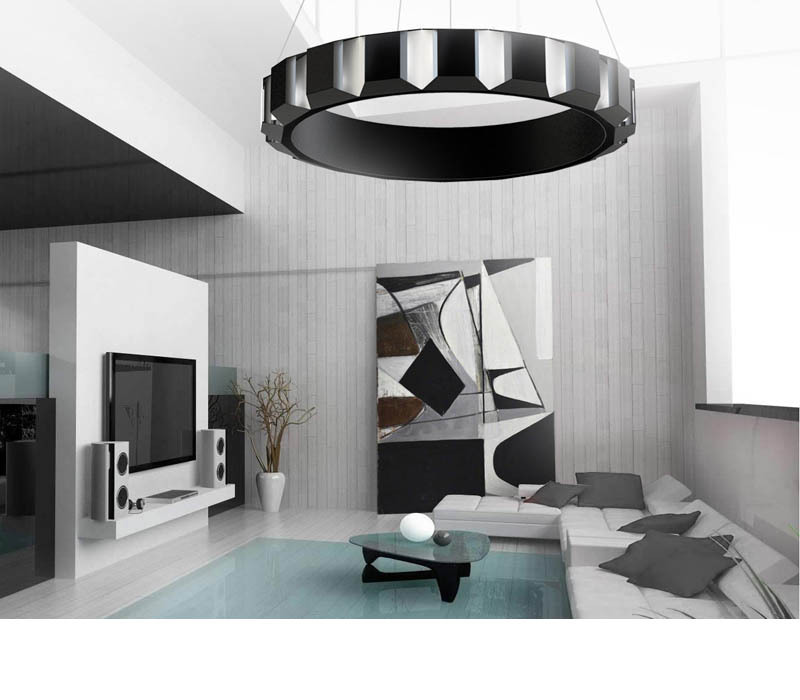 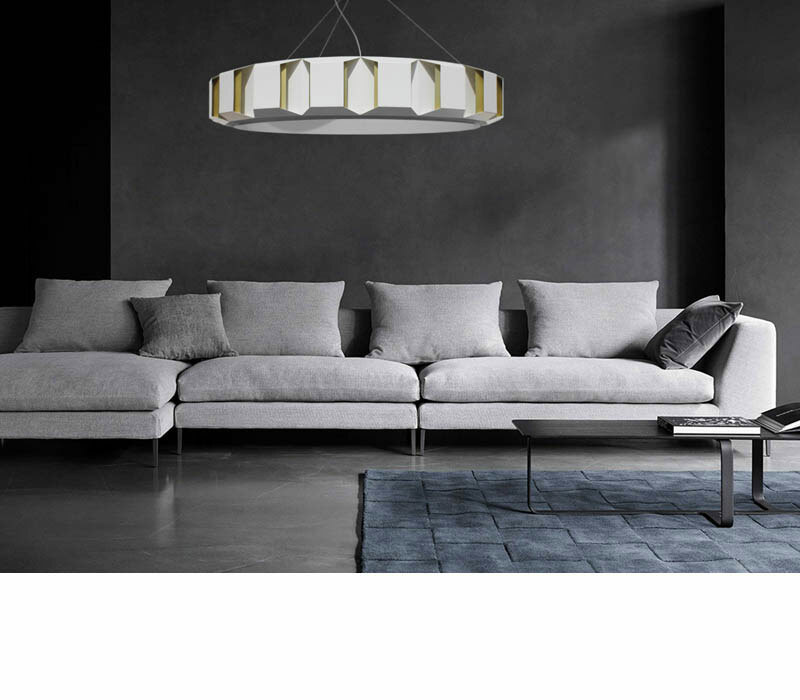 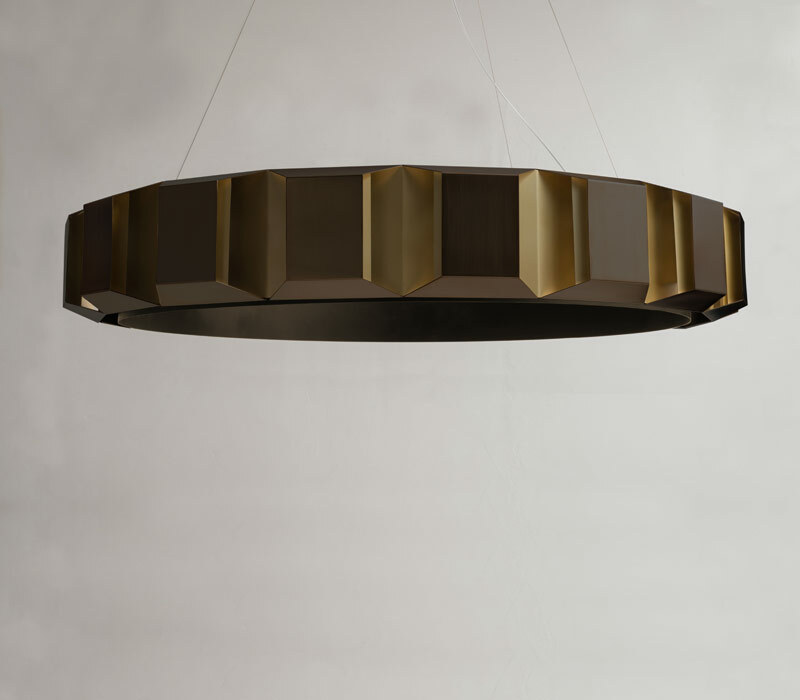 The delicate hand brushed finish softens the contemporary composition of this imposing chandelier. 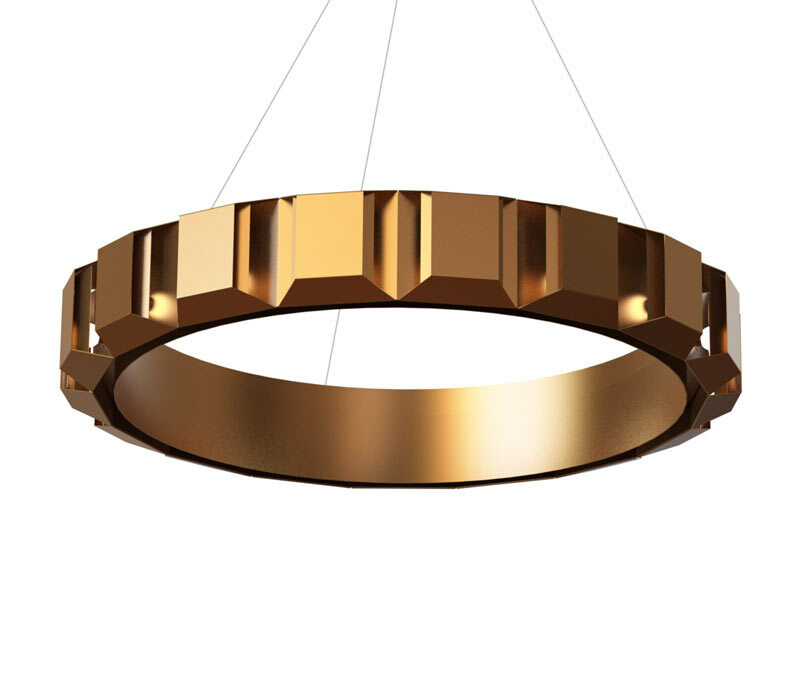 Finishes: Available in gold, silver, gold & black, silver & black, or in any RAL colour.